Every year millions of tourists fall in love with this place: the island of Capri is waiting for you! 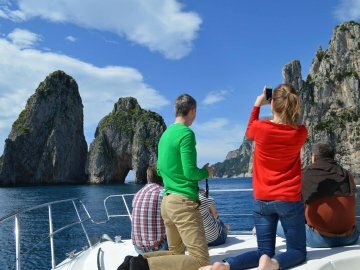 Aboard of a typical Sorrento boat, you will discover it from the sea: exploring its hidden caves, swimming and snorkelling in the crystalline sea, admiring majestic reefs, arches in the rock and all the most famous attractions along the coast. With a stop of 4 hours you will also explore the island by land. 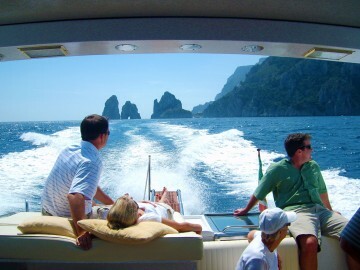 Reserve your place on the Capri boat today.